To create a new post go to Posts > Add New. Enter your post title in the upper field and write your content in the editor. We recommend to switch to the Visual Composer editor by click on the Backend Editor or Frontend Editor button so you can easily make stunning pages. On the left you can select a category and add tags. 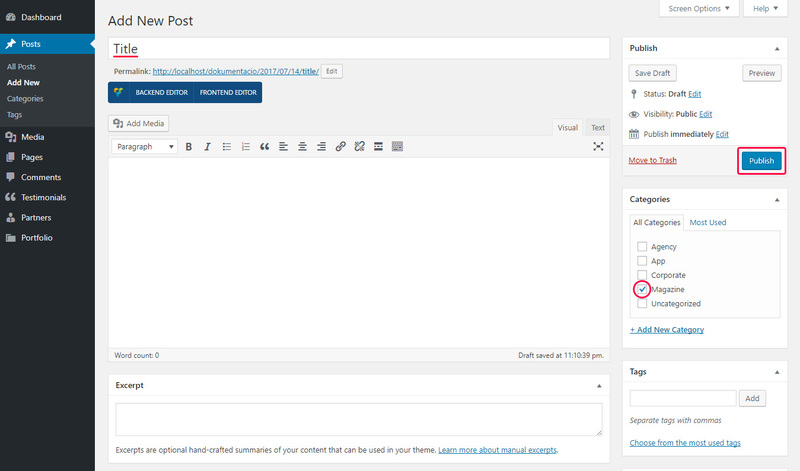 Below the editor you can set an excerpt which is a summary of your post featured on the blog page. When you are ready click Publish.